I know you’ve had the pleasure of reading some wonderful blog entries on the topic of corporate partnerships and how vital they are to East London Vision. I am delighted to report that we continue to establish and strengthen our partnerships with other local charities and organisations. I earnestly believe it would be of benefit to build partnerships with local schools, mosques, churches and other religious establishments in East London as well. This will allow us to best represent the views of people living with sight loss and fingers crossed enable us to find and aid other Vision Impaired people. As you may have read in previous entries from me, I intend on visiting schools and building relationships with community leaders in order to reach younger Vision Impaired people. This will also allow us to fund raise and in return we would then offer Vision Impairment Awareness training to year 4, 5 and 6 pupils. I’m thrilled to report that Marion Richardson and Redlands Schools respectively have agreed to fund raise for East London Vision and we are grateful for their cooperation and support. I’m sure I’ll have a further update for you in my next entry, so watch this space! Talking of Partnerships, over the last 2 months or so we have worked closely with Made in Hackney who deliver fun, supportive, often life changing courses in local food growing, cooking and composting. They work with local charities, community organisations, housing associations and support groups to ensure their wonderful courses are offered to people most in need, such as low income families, children in care, teen carers, young people excluded from school, parents, children and people suffering from diet related health problems. Whilst their classes are mainly focused on tackling food poverty, they understand that cooking is incredibly therapeutic and has a real impact on mental health and self-confidence. Our members have completed a 6 week course, in which they were taught how to make healthy food from scratch. Whether it was making baked beans or mayonnaise as a team we were quick to learn that it was cheaper and healthier to make your own food rather than purchasing over sweetened or extremely salty foods from the market. Taking the general consensus into account, I’m confident the members would like to do this course again in the New Year and I’m sure the phenomenal Made in Hackney team would welcome us back with open arms and long may this flourishing partnership continue. Some exciting news from ELVis and an update on 2 Vision Strategy Consultations! Hi all, it is good to catch up again and today I have 3 things I’d like to share with you. We had a new addition to the ELVis Team who started with us 6th October. So let us welcome Graham Page, Graham is our Assistive Technology Adviser, it is a pleasure having Graham around. Also a very warm welcome to Andrew Goodwin (The Volunteer Coordinator) Who will be dedicating some of his precious time to ELVis and I’m happy to say, both Andrew and Graham have settled in extremely well. Last week there were 2 Vision Strategy consultations that took place. Firstly, Waltham Forest Vision held their AGM and Vision Strategy consultation which was well attended. Great discussions took place on future priorities, followed by a yummy supper of fish and chips. And finally the Hackney Vision Strategy consultation, this was well attended too and I’m pleased to report that the event ended with a finger buffet, which gave the members an opportunity to socialise and make new friends. Posted on October 19, 2015 October 19, 2015 Categories UncategorizedTags Chris, Edmead, ELVis, Hackney, WFVLeave a comment on Some exciting news from ELVis and an update on 2 Vision Strategy Consultations! Hello, it is time for me to check in with you all again! I’d like to tell you about our work with NCS The Challenge over the past few months. Another year, another summer and another extremely beneficial partnership with NCS The Challenge. This is our third year working with The Challenge across the East London Boroughs, as either part of the Team Challenge, the Social Action Challenge, or both in some boroughs. NCS is a government-funded initiative that supports community engagement, social action and social mixing among young people. 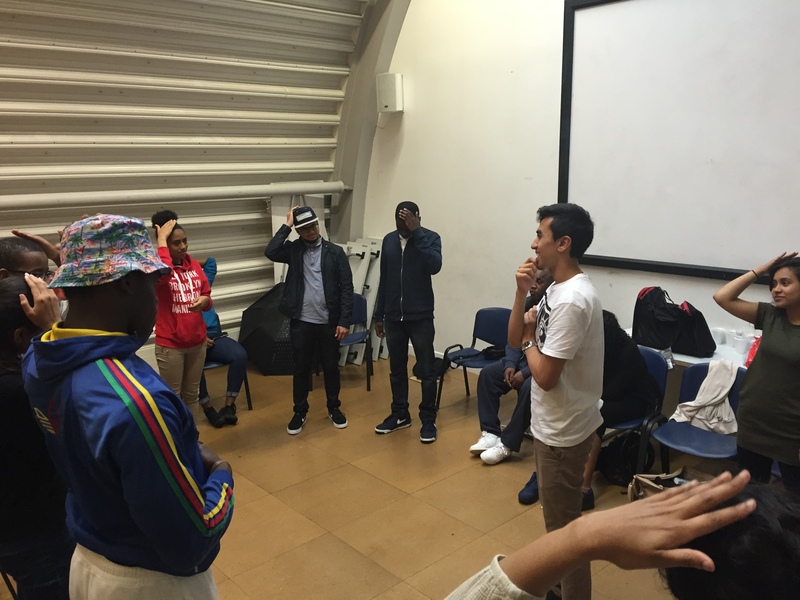 We have worked with over 65 young people and staff, and in total have taken part in 18 different sessions in Barking and Dagenham, Hackney, Newham, Redbridge and Waltham Forest. We provided the young people with basic vision impairment awareness training in order for them to feel comfortable and confident in assisting vision impaired people. The young people volunteered with us in September where they gave up their Saturday or Sunday to assist with events, which ranged from a multi sports day, to tandem cycling, to preparing lunch and entertainment. Also as part of The Social Action Challenge, the young people fund-raised for the local voluntary organisation for vision impaired people in each borough that they had worked with. The funds raised will help each organisation to continue providing a wide range of activities for blind and partially sighted people. 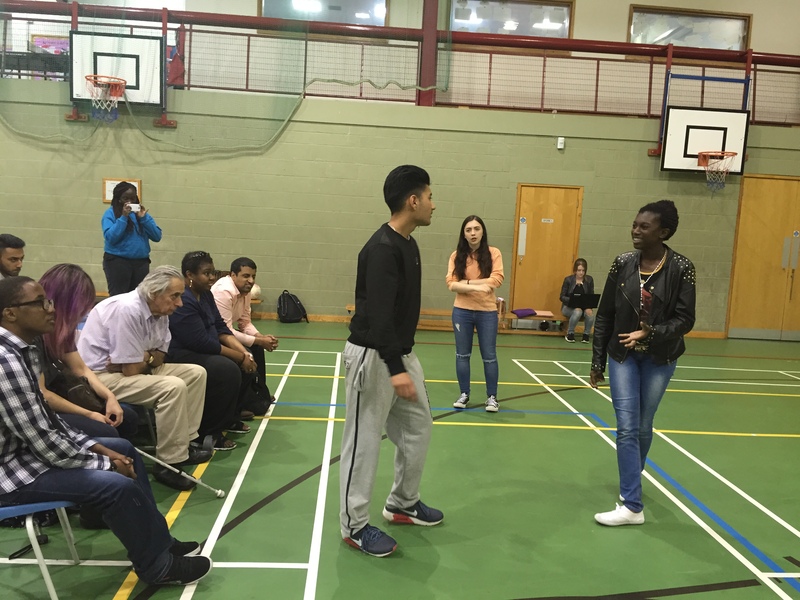 As part of the young people’s skills visit in Newham, drama went down a treat with all involved, allowing an excellent opportunity for everyone to work together on a drama piece. Some of the young people’s campaign days fell during National Eye Health Week (21-27 September). They were keen to ensure their campaign took this in to account and promoted the benefits of keeping your eyes healthy and having regular eye tests. They also used various resources that we provided, to show the general public the 6 most common eye conditions using simulation spectacles. I’ve thoroughly enjoyed working with all the staff and young people from The Challenge over the summer, each year is completely different, but equally exciting. It is a great partnership, which is not only beneficial to us as an organisation, but allows young people to engage with their local community and gain new skills such as vision impairment awareness. We look forward to working with the NCS programme again in 2016!! First of all, a warm welcome to our new platform. 2 recent events have made me think that employment for blind and partially sighted people should be the topic of the Blog this week. The first of these was that I have just been involved in the recruitment of a new member of staff for ELVis. We received 52 applications, and although about 40 of them were discarded immediately because the applicant hadn’t submitted the required information, or clearly hadn’t properly read the job description, it does show that, whatever the Government statistics, there are still plenty of people out there looking for a job. Or, does it indicate, with my more cynical hat on, that job hunters have to prove that they have applied for a certain number of jobs to maintain support or benefits and, with the ease of applying online these days, this is relatively simple to do, even if the applications aren’t appropriate. Where do I get information about training and re-skilling? Feeling hopeless during interviews when trying to convince employers that you are just as capable as the next person. Government schemes to get people into work are often not accessible to people with a disability. I don’t know how my employer will react when I tell them about my deteriorating sight. One bad experience can put off employers from then taking on another person with a disability. Access to work support is getting more and more difficult to obtain and the support is often of poor quality. This is only a flavour of the discussion, which also included looking at solutions. But it does show that with 70% of Vision Impaired people of working age not in employment (and that’s the best estimate), that there is an undoubted need for the sight loss sector to provide collaborative advice and support. I am absolutely not promoting positive discrimination, but assistance with obtaining and maintaining a job will clearly help reduce the startling statistic of blind and partially sighted people who are currently unemployed. I am sure we will return to this topic in a future Blog!